So yesterday I decided to get my nails done. No, I did not do them myself. I can’t do my own nails if my life depended on it. The times I've tried it’s just turned into a horrible mess. I did shellac, I love it! It’s made my nails so much stronger and I've actually been able to grow my own nails! I did red and gold for obvious reasons. I can’t remember the exact names, sorry! 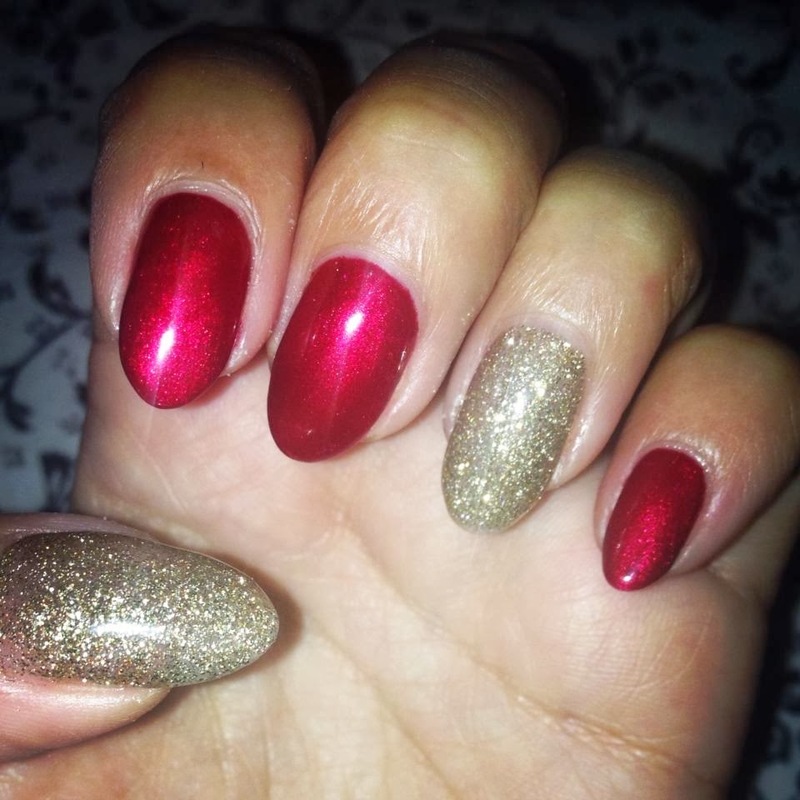 With Christmas and New Years just around the corner why not do sparkle and glitter. It makes things much more festive.